Today is a happy day for me. 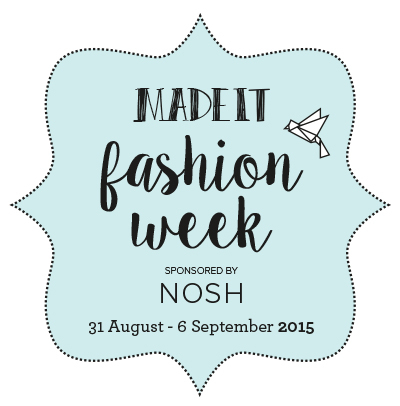 It is finally my opportunity to jump in to the MADE IT patterns Fashion week! During some months I have been testing some of their new patterns -I have talk already about one of them here– and every time they show us the testers a new pattern , I was just blown away for the cleverness in the design. All are full of nice details -but if you want more plain, it is totally doable to do it too!-, the instructions are fun to follow, step by step pictures and presented in a very professionally way. Hoy finalmente es el día para mostrarles lo que cosí para el desfile de modas de los patrones MADE IT. Durante algunos meses he estado probando estos patrones –ya he hablado de uno aquí- y cada vez que las diseñadoras nos mostraban uno nuevo, quedaba más enamorada y quería probarlos todos!. El diseño es super chic, con líneas modernas, las instrucciones muy fáciles de seguir con fotografías que muestran cada paso y presentados de una manera muy profesional. For the fashion show I choose to make one of the patterns I felt in love during testing, but I couldn’t test by then: The Petal Fold Playsuit, but making the pieces separated. Para este desfile de modas, escogí un patrón del cual me enamore apenas lo ví, pero que no pude probar antes. Se llama Petal Fold playsuit. Pero hice la versión que tiene las piezas separadas. Fabric: Main for the top, is a cotton popeline and some chambray I bought in my recent trip to Colombia. 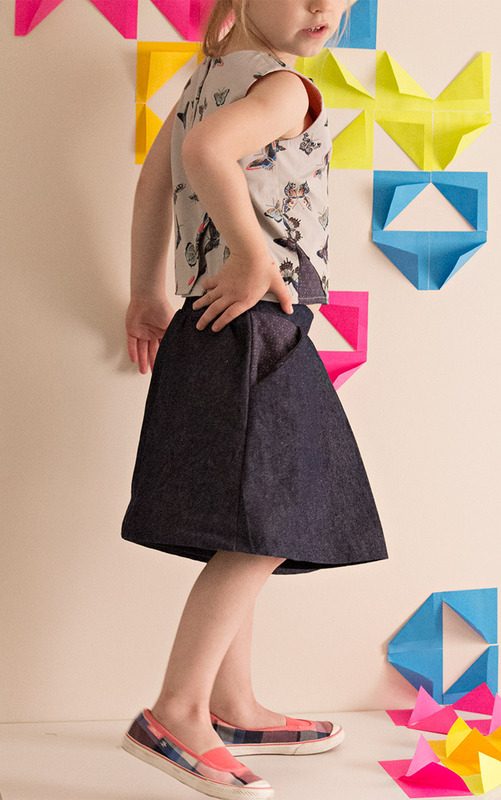 The culottes are made in a medium dark denim. Tela: Popelina de algodon y chambray para la camisa. vaquero no tan grueso para las falda pantalon. 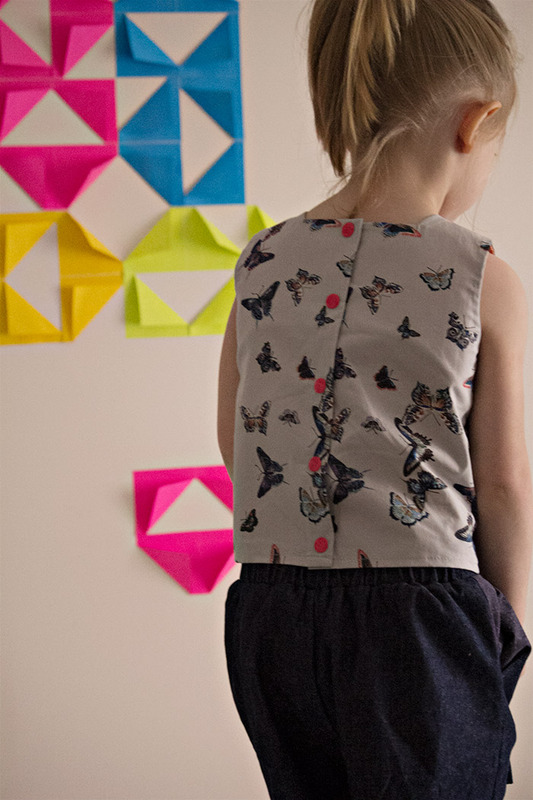 The Petal Fold Playsuit supplement is very similar to the original Petal Fold Playsuit, the diference is that the pieces are separated, then the top has a central panel. You can pleat it as the original playsuit, or leave just plain or make it in contrasting fabric -like I did-. 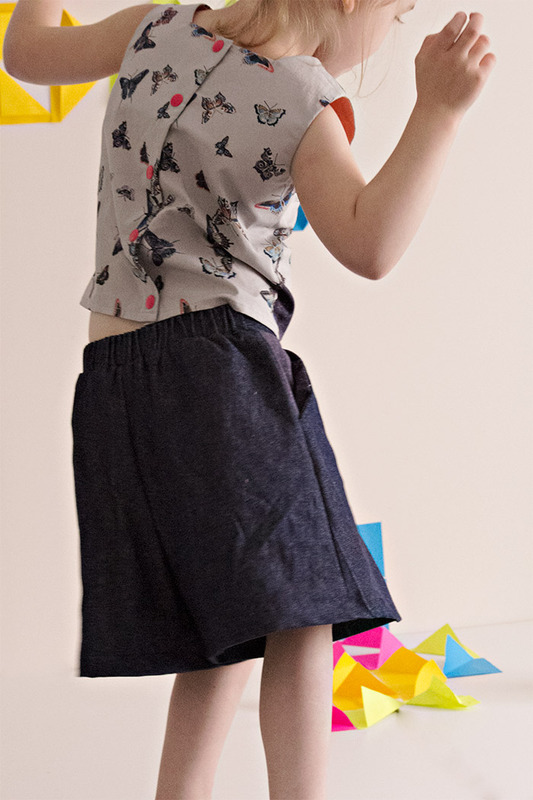 The culottes feature a flat front and elastic in the back of the waistband also front pockets. Este patrón viene como suplemento del original que viene como un vestido con falda pantalón. Tiene un panel central al que se le pueden hacer decoraciones, hacerlo de la misma tela o si se quiere hacerlo con tela contrastante –como yo hice en esta versión-. La falda pantalón tiene el frente plano y la parte de atrás de la pretina con elástico. Although my love for this pattern were the pleats in the front panel, I decided to leave it plain. 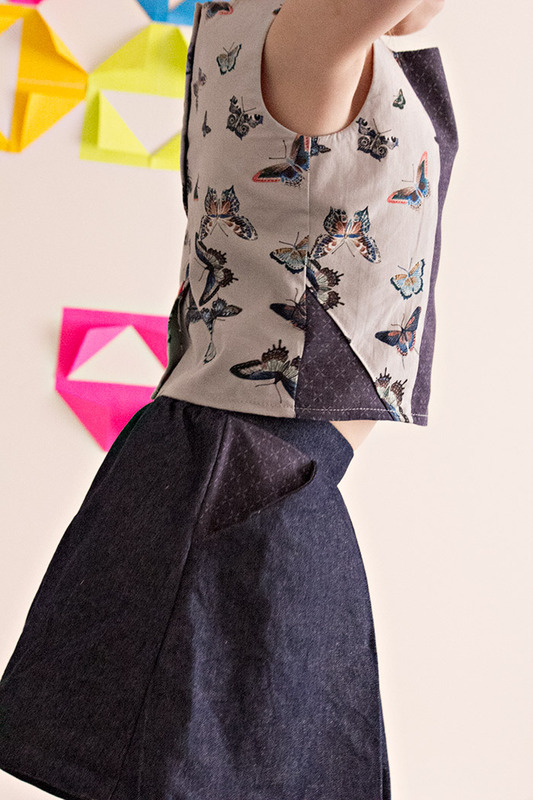 The butterflies fabric is quite busy and It would be to much going on for my taste. The denim I choose did work fine for the culottes, but the next time I think will choose a fabric with better drape. Maybe this denim will soft with age and I think the sort of structured look the fabric gave the culottes is nice, a softer drape will look much better -well, just my humming opinion, though-. What do you think? structured? better drape? Aunque mi enamoramiento por este patrón fueron los pliegues en el panel delantero, decidí dejarlo plano porque la tela de las mariposas es bien colorida y me parece que hubiera quedado muy recargado. La tela que elegí para la falda pantalón, se ve bien, pero la próxima vez que vaya a confeccionarla, intentare conseguir una tela con mejor caída para que no se vea tan acartonada en la parte delantera. Olu and Anna, asked us to include some origami in the photoshot and even though I do enjoy looking origami figures, I’m not very good folding paper. I used to know how to make a fish, but totally forgotten, I search on Pinterest tutorials and tried several times, but the end result wasn’t very nice. Then I saw this pin and I totally felt in love with the shapes made with simple Post it notes paper. Then this is the best I could do to make some folded paper and looking it now I think is very nice, I’m happy with the result. 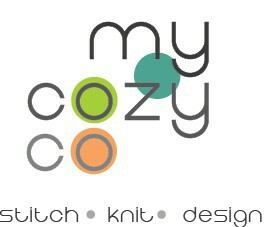 Thank you for reading and being an spectator of my runway featuring a MADE IT pattern! Would you like to get more inspiration? A €50 voucher for NOSH to be given away at the end of the week, All you have to do is leave a comment on Needle and Ted on day 7 of Fashion Week (Sunday 6 September) letting Olu know what the highlights of the Fashion Shows were for you. She will pick a winner from the comments and the winner will be notified by email the following week. Another €50 voucher for NOSH to be given away at the end of the week. Check on Made it Patterns Instagram account to see how you can win it! 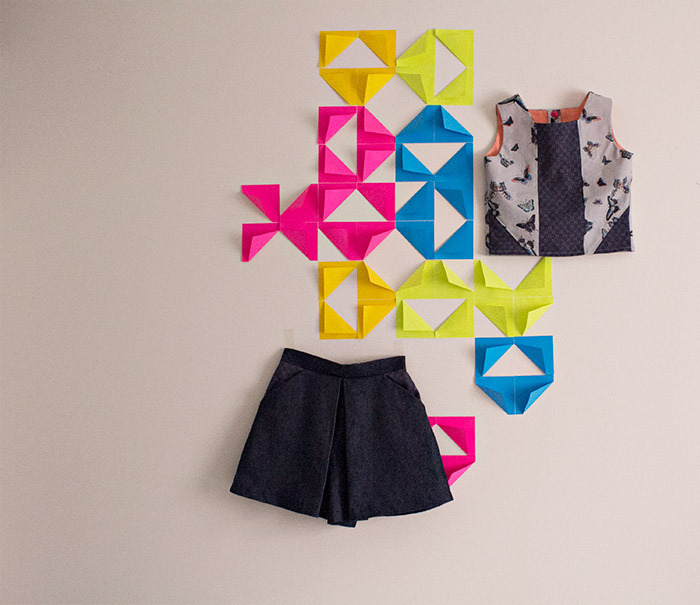 Also every day of the Fashion Week, Made It is giving away a pattern of the Fold | 2 collection! All you have to do is answer the right questions that Olu and Anna will be posting on Facebook or Instagram, the first one to answer correctly wins. I love it, Maria! You have the best taste in fabric! I want your stash. 🙂 🙂 This is on my very long list of things to make! 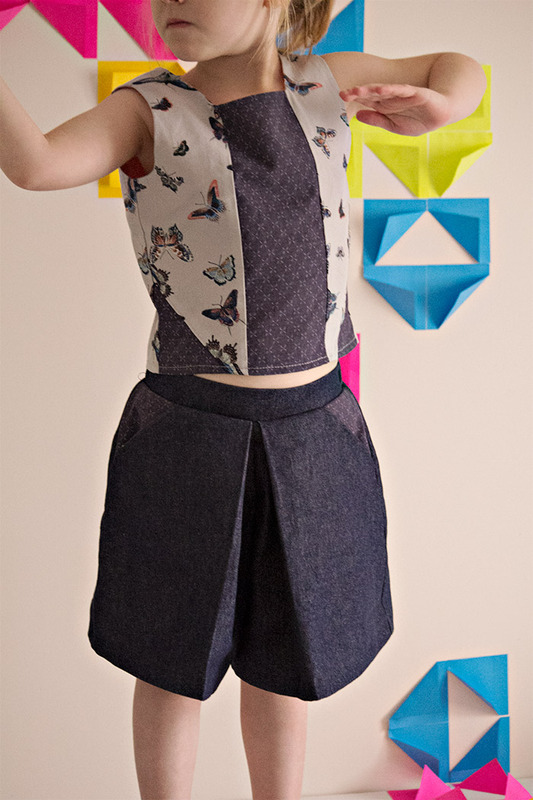 Lovely fabric choices, and the paper folding looks ace! Your fabric choice is impeccable. Love it. And your origami is such a creative touch. You really have thought out side the box. Brilliant!! !